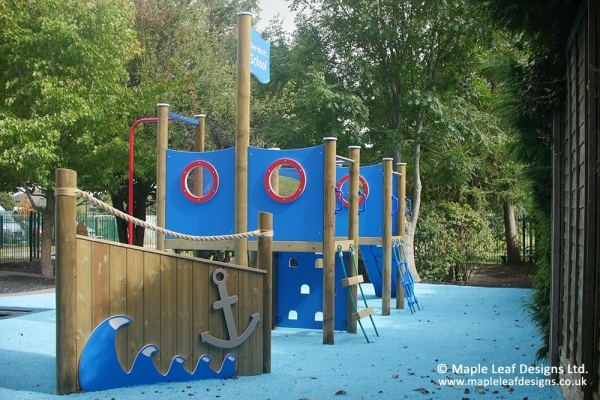 The Jumbo Play Galleon implements all the fun of our play towers set to the theme of the sea. These items can be adjusted to your specific needs, but the standard Galleon includes a slide and fireman’s pole, along with a rope ladder, climbing net, climb grip ramp and crawling tunnel. The flag on the centre mast is engraved to your specification, and the timber stockade bow is fitted with engraved nautical decals, with porthole windows throughout.